GlassLab Games | Play Fully! We develop next generation learning games to support acquisition of critical 21st century skills. We advance game design and study the impact games have on improving student outcomes. We give game developers the tools they need to build better learning games and reach more learners. Games are ideal environments for engaging students in complexity, giving them the power to figure things out at their pace, in their way, and through a medium that they enjoy. Our games are an ideal way to learn from mistakes because they offer multiple opportunities to persist through challenge in an environment that is designed to reward multiple attempts and novel solutions. With games, learning is continuous. When students are in the moment playing, there is no better time to give them insights into their learning. Our reports reflect exactly what is happening as the child is learning. We capture evidence of student learning through our back-end and then make that learning visible through streamlined reporting that is real-time, personalized, and actionable. Our games are unique in their ability to create an immersive context for learning that sparks curiosity, fosters persistence, and opens students’ minds to new possibilities. Students who play Mars Generation One for three hours with two hours of instruction can make as much as one year of learning gains. 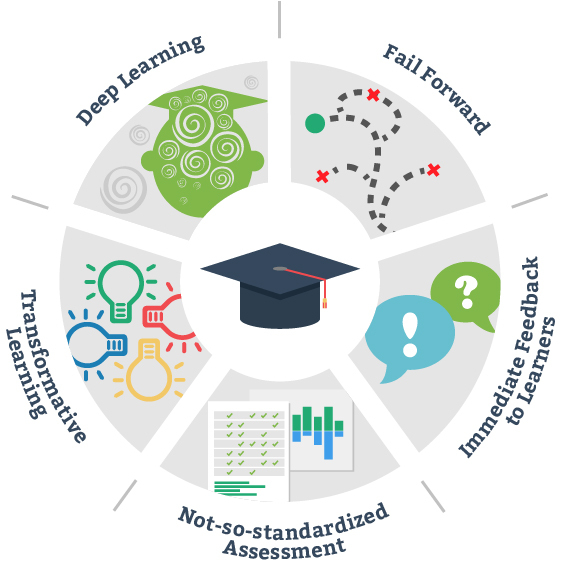 Statistically Significant Learning Improvement: Students who play SimCityEDU are better prepared for college and career readiness demonstrated by a statistically significant improvement in problem solving and systems thinking. Unprecedented Learning Insights: GlassLab games have captured over 6.1M learning events and provided educators and students rich visibility into learning in real-time. Recent research from SRI indicates: Students in digital game conditions will outperform students in non-game conditions in terms of learning outcomes by over 12%. Broad-scale Distribution: Our games are implemented in hundreds of schools and homes across the country.